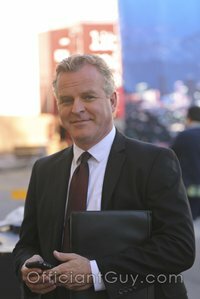 I have been a wedding minister in Los Angeles for many years and I have performed many civil wedding ceremonies and religious wedding ceremonies in many Malibu Wedding Locations. Some have been at Malibu West Beach Club. A private club built in 1962 is an unassuming two-story structure partially screened from the street behind bougainvillea and evergreen trees; youíd never know it was there if you didn’t go looking for it. 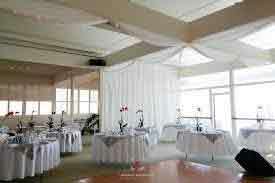 This popular wedding venue has a high, vaulted ceiling dance floor and an adjacent deck. There is also a private room off to the side of the entry for use as a bride’s room. 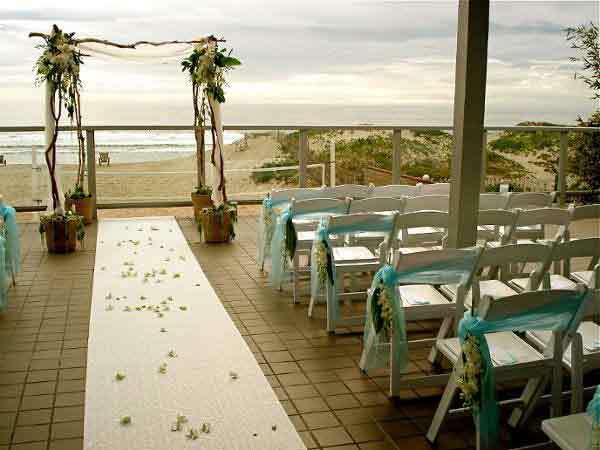 Wedding guests are seated facing the ocean on the tiled 50-foot-wide deck, while bride and groom tie the knot under a flower-covered arch. 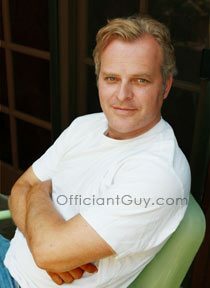 If you are thinking of having your wedding ceremony or reception at Malibu West Beach Club or anywhere in Los Angeles County or Orange County California then consider having the Officiant Guy be your wedding officiant.